A workshop was organised by the Spanish Industrial Technology Development Centre (CDTI), its Japanese equivalent NEDO and the Spanish Energy Efficiency Technology Platform (PTE-EE), which took place from 13 to 16 February in Tokyo under the title “Technology Mission to Japan: Thermal Energy Recovery”. 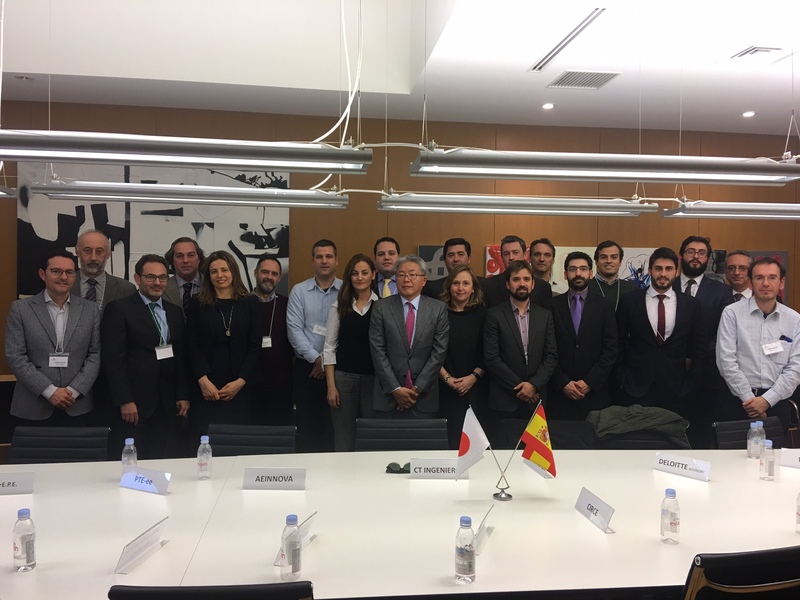 CIRCE was amongst the 15 Spanish institutions invited to the initiative, along with 40 Japanese firms. CIRCE’s representatives shared their progress in the VULKANO project during a day dedicated to explaining the bilateral co-operation programme between CDTI and NEDO. industrial furnaces powered by natural gas. After various presentations by different companies and institutions, a series of B2B meetings were held to strengthen professional ties with a view to future collaborations in the field of Thermal Energy Efficiency. Participating companies got the opportunity to visit the Tochigi Kanuma technology centre, where work is underway to research the potential use and efficiency of new materials, including zeolite, in thermal recovery. The third day took the party to the ENEX 2018 fair, with six exhibition areas including one specifically dedicated to thermal solutions. To conclude the trip, a closing ceremony was held at the Spanish Embassy on the last day. The celebration was attended by the CDTI’s R&D Programme Manager for the Asia Pacific area, Ángeles Valbuena, the Director of CDTI Japan, Aki Dambara, and the Spanish Minister for Trade and Economy in Japan, María del Coriseo González-Izquierdo. Together, they brought the event to a close after highlighting the possibilities of funding international R&D&I projects involving both countries, and acknowledging the interest shown by Japanese companies in working with European partners and furthering the relationship between the two countries.